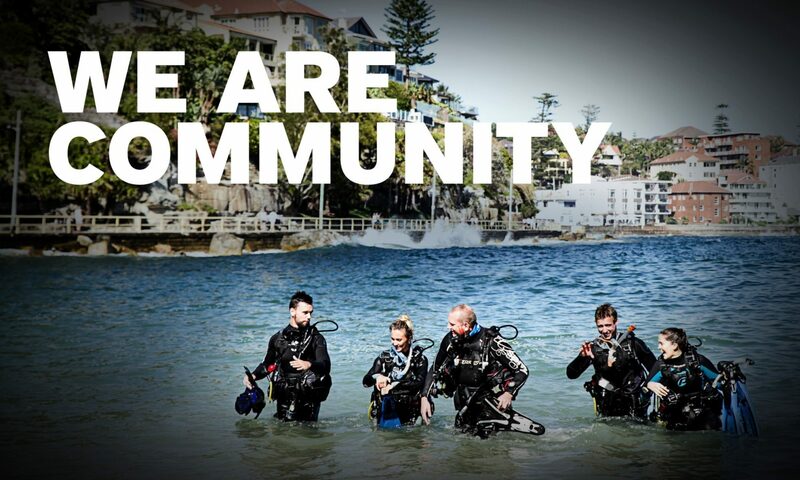 As a PADI Instructor, new challenges occur on a fairly regular basis, especially when based in semi-remote locations or while teaching in countries where English is not their native language. What I was about to do was to be one of the biggest challenges of my professional dive career, teaching a local Indonesian to dive who was both hearing and speech impaired. A PADI Instructor at the Dive Zone in South Lombok, I had just returned for my third season, working under the direction of George More, Manager and owner the PADI Five Star Instructor Development Resort on the island of Lombok, directly east of Bali. When people think of Lombok and diving, usually the Northern Gili Islands come to mind, but there is a group of islands in the south called the Southern Gili’s, which the Dive Zone calls home. Offering two types of diving, gentle and relaxed on the northern side, where photographers and macro lovers thrive, and on the southern side – facing south there is Belongas Bay and ‘The Magnet’, one of the few areas in the world where divers can sometimes see the Hammer Head shark. My new student was to be a local Indonesian named Hollis, whose only experience of diving had been several Discover Scuba Dives in which he had performed well and taken a liking to diving. Hollis came from a family of 12 in East Java. Due to family hardships and his challenges, Hollis did not receive the proper attention he needed. This is where ex-patriot, Jantine comes into the story, without her help in translation and financial sponsorship, none of this would have been possible. My idea was to get Hollis into the water as soon as possible to assess his underwater abilities. He had watched the Open Water Diver video at least 3 times already, almost memorising each exercise so when we performed Confined Water Dive One, he had it mentally choreographed. Underwater, Hollis paid great attention to my signals describing what skill I wanted him to perform next and he never took his eyes off me. Above water, translator Jantine would be with us ‘waist deep’ giving the final communication to Hollis using both sign language and speaking Bahasa Indonesia, which Hollis would lip read. Hollis and I would then descend and from there, my hand signals would be sufficient. I can still visualize in this case that some skills were just too complex to simply explain above water, such as the Controlled Emergency Swimming Ascent (CESA) and the ‘free flow regulator’. Such skills were easier demonstrated in waist deep water then performed a bit deeper. Underwater, things went well. Hollis was like a fish and performed the skills without any hesitation. My only concern which I explained to Jantine, was that Hollis would have to be particularly careful in the future regarding his inability to hear sound – so important for when it comes to listening for boats on the surface, as well as his dive guide trying to get his attention. I instructed him that by staying in constant visual contact and by staying close enough to make physical contact with his dive buddy or guide, there would be no reason to worry. The final exam day came, but not until we had some long afternoons under the Indonesian sun explaining the RDP, safety stops and demonstrating the opening of coke cans and squeezing water bottles to show the effects of pressure. The smile on his face was priceless as he was now officially a PADI Open Water Diver. We all face challenges on a daily basis, but this goes to show by putting your mind to it, almost anything is possible. Next PostNext Project AWARE: FINtastic Trio Swim Around Koh Tao in 7 Hours 56 Minutes!